Bubbles has been a big fan of, well, bubbles, for quite some time now. Nearly every day she asks if we can go outside and blow bubbles. Doesn’t matter if it’s raining, windy, 100 degrees, or snowing – she wants to be outside playing with bubbles. 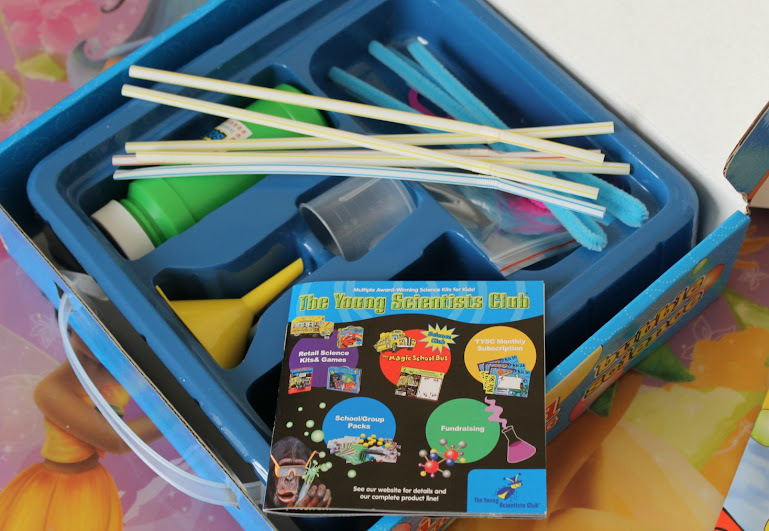 We were recently given the opportunity to review a scientific experiments kit from The Young Scientists Club. After taking a few minutes to visit their site, my choice for a kit was a no-brainer. They have a line of Clifford the Big Red Dog Science Kits, and we love Clifford. But more exciting was the fact that one of the kits was a Bubble Science kit!